/ Is Black Preaching Just For Black People? 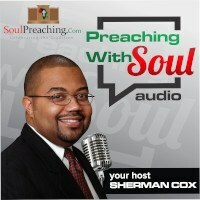 Is Black Preaching Just For Black People? All of this misunderstands what I am trying to do on this website. I must hasten to add that there are others who get the idea and apply the insights to their context. For example, another preacher told me, “What you are teaching works just fine when this White preacher preaches to his white congregation.” And I believe that. I am just happy to offer to the universal Christian church the insights from the African American tradition. These insights will help you preach to anybody who is in front of you. No they don’t replace Haddon Robinson or Bryan Chapell, but they do stand next to them to aid in the sermon development process. I have preached to congregations where I was the only Black person in the room. I have also preached to congregations that were totally African American. And I have addressed different mixtures as well. And let me say this, I always use the techniques and tools that I have learned from the Black preaching Tradition as well as other preaching teachers. It is true that I do make some alterations, but these alterations are largely stylistic and relativity minor. The congregational response may be more audible in some congregations than others. Some congregations show it on the face more than they show it with their mouth. Maybe it is just a hearty amen, but it is still congregational response. There may not be whooping in your church (African American or non) but the preacher may change his tone, may have a increase or decrease in volume. Maybe it is a simple run, but it is often some form of verbal embellishment and style added to the preaching moment. So yes the tradition is applicable to you, whether you are a white preacher preaching to black folks, or a black preacher preaching to white folks or a black preacher preaching to black folks, or some other ethnicity preaching to some other ethnicity. The tradition will help you address them. Becuase if you have some folks who have had life hit them upside the head, the tradition will help you. If you have some folks in your congregation who have lost their job. Yes the tradition is going to help you. In short the keys the Black tradition gives you will help. What are the keys? Well let’s quickly review some of them. 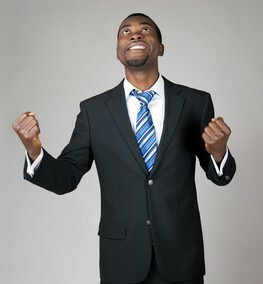 A key like Celebration is applicable to all churches (when celebration is called for). The key of having a tendency to look at the scripture from the perspective of the underdog or the poor is applicable to all chruches. The key of trying to put the great theological concepts into the language of “grandma and dem” is applicable to all churches. The key of emphasizing the practical over the theoretical is also applicable to all churches. The key of making the Bible story our story through identification with the Bible character is applicatble to all churches. The key of allowing the individuality of the preacher to come through is applicable to all churches. The key of structuring the sermon for maximum impact is applicable to all chuches. The key of emphasizing a theology of God with us in our pains and hurts is applicable to all churches. I remember an eye opening experience at seminary. Dr. Brad Braxton, one of my homiletics instructors, played for us two sermons. In the first sermon he was addressing an upper middle class white congregation in a suburban context. I believe it was in Dallas. He preached and the people responded. No they were shouting, but you could see it. He used the black tradition. No he didn’t whoop, but he had a celebration. He used intonation. He had solid Biblical content presented in a powerful way. He then played his sermon to a predominantly African American congregation in urban chicago. The style was a bit more amplified, but it was still just a celebrative conclusion where the people responded. 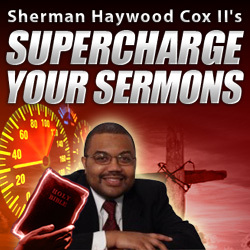 Both sermons used the Black preaching tradition. And no one felt as though they were discriminated against. Just like Black gospel music is not just meant to be heard by white people. Just like Jazz music is not only meant for black people. The Black Preaching Tradition, when it is at its best, helps and blesses all that come in contact with it.